In the midst of a refleeting exercise in the UAE, and after winning an Indian Non-Scheduled Operator`s Permit (NSOP, effectively an Indian AOC) last December—which it hopes will pave the way for a number of opportunities on the sub-continent—Dubai-based Empire Aviation Group is set to report a strong 2018. "We have undertaken some aircraft replacements for our aircraft owners this year, which has been a terrific year for aircraft sales. Financially we are strong, and the number of planes under management has risen and is now very stable," Paras Dhamecha, executive director of Empire Aviation Group, told AIN in the run-up to MEBAA Dubai 2018. "We are busy completing six transactions, with three currently under contract, two deals already completed, and one more in the pipeline, which we hope will close later in the year," he said. "If we can achieve everything in the sales pipeline, then 2018 will be the best year for us for several years regarding aircraft sales." Dhamecha noted that all six aircraft sales are fleet replacements for owners who have been looking to upgrade their aircraft, for example, from a Falcon 2000 to a Falcon 7X, or moving from an Embraer Legacy to a Lineage. "The advantage we have is that we are not tied to any OEM and can advise the customer on what is best suited to [their] requirements and then acquire the right aircraft from the appropriate manufacturer." Dhamecha said that cabin size in the managed fleet was increasing inexorably, as new aircraft come into the fleet. "Owners may not necessarily be very loyal to an aircraft brand, but they do move around within brands. It depends on owner requirements and preferences, and this tends to be a mix: newer preowned, certainly larger preowned, or larger new. The overall fleet size hasn`t changed but there have been replacements. Some owners have sold their aircraft and have been replaced by new owners." 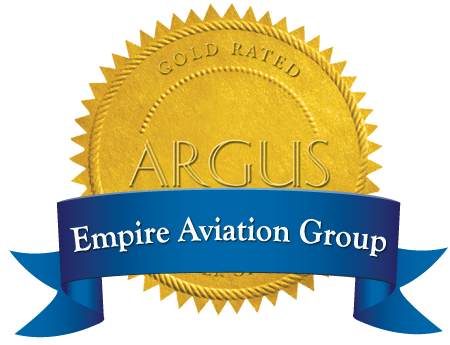 EAG`s business is predominantly aircraft management and its aircraft owners are the predominant users. "Today, our charter fleet is five or six aircraft out of a total of 20-plus under management. Charter is purely a cost-saving exercise to contribute toward the overall operating and holding costs of these aircraft, but it is not something that is core to those owners," he said. "Charter accounts for between 20 percent and a maximum of 40 percent of hours on our managed fleet of aircraft. This depends on owner preference. We have owners who do not want to charter more than a certain number of hours a month. We also have owners who will tell us: `Do what you want.` The difference in the Middle East is that owners are not too concerned about chartering their airplanes to subsidize their costs. Of course, the more you charter, the more wear and tear you have on the airplane." Dhamecha said there had been a shake-out in ownership in the past decade. "Today, the aircraft owners who remain are those who can really afford the aircraft, and this is a trend we have seen since 2008-09; only people who can afford or really need an airplane have kept one—but not as a luxury. People who [took] aircraft as an investment or an asset have not stayed in the market," he said. "Aircraft today are big and bright. If you look back over the last 10 years, Empire was predominantly a midsize operator. Now we have only one midsize on the fleet—everything else is an Embraer Legacy or larger. The fleet consists of several Global XRSs or bigger, Gulfstream G450 or G650; we still have a Falcon 7X, a Falcon 900DX, and a handful of Legacys." Dhamecha said more distant destinations are increasingly driving aircraft size. "The reason that these fleet aircraft have grown in size is that people now need more and more connectivity and, in our business, the longer you want to fly, the bigger the airplane has to be. The fact of the matter is, if we have a customer who needs to get from Dubai to Beijing or Tokyo, they need to be in a big aircraft," he said. "These days, it`s not a corporate executive who`s flying around. It`s basically the business principal or the chairman, or the ultra-high-net-worth individual. If they can afford it, they prefer not to make a stop or two to arrive in Tokyo tomorrow. They want to be able to go there and come back, nonstop." Dhamecha said EAG is "very bullish" on India, despite competition from a number of other companies, such as Titan Aviation. It obtained its NSOP in December 2017; "This opens up several opportunities and we are discussing moving forward to operate commercial aircraft. I would like to think we are in pole position on management in India," he said. "It is a market we are looking at quite seriously. The economic environment is improving and overall business confidence is good, so people are starting to make a move. Aircraft owners are starting to understand and accept the management model and more people are getting into the market with newer aircraft or are first-time buyers." EAG has already made inroads into the market. "The Ministry of Civil Aviation announced two months ago that they would allow and recognize management companies. We do have one aircraft that we operate on our Indian AOC, a Legacy 650. If things go well, we will add two-to-three more aircraft this year. Currently, on the aircraft we manage, we have to be the lessor on record. Most of our customers are people who have acquired the aircraft," he said. "India obviously has private aircraft and what`s new is third-party management coming in. Before, it was either a pilot running his own AOC, or a fully integrated private department in-house, because there were no third-party providers. When we started in 2012, it was difficult; people did not have much of a grasp of the management concept, but now it is becoming easier." The market is very much based on word of mouth. "The concept is: ‘management is not going to cost us; If anything, it`s going to be a cost-saving.` We offer savings in the resources that owners have to create. We give them the economies of scale, as an international operator of 25 aircraft, compared to the cost of them setting up their own department of 12 people," he said. "India`s Tier 1 airports are congested but ferrying the aircraft back and forth to Nagpur, which is a four-hour drive, doesn`t make sense. [And] I have not heard of anyone attempting to introduce a full-service executive airport," Dhamecha reflected. EAG was acquired in 2012 by Air Works India Engineering Pvt. Ltd, based in Delhi. The Empire Aircraft Management Services Pvt. Ltd. branch is situated in Bangalore. EAG has moved ahead on a Hong Kong-based joint venture, which already has two aircraft operating in Asia, with a view to growing the fleet size in the near future. "As with everything, the Empire philosophy is to build the foundation and then chase after the business, so we are currently completing work on our local infrastructure before growing that business to make sure that we are able to deliver to our own standards," he said. And what of Nigeria? The effects of the oil-price crash, which affected Nigeria in 2014-16, continue to linger but progress is being made, he told AIN. "Nigeria is stable. We still have our regular customers… but there is nothing new happening in private aviation [there]. When oil prices fell, we lost some of our customers. Our local partner, Triton Aviation, continues to take care of ground handling and crewing as before." Many EAG aircraft sales are conducted with the assistance of its office in the U.S. "Arizona is doing well and the U.S. is the largest buying and selling market. In all our transactions, one leg always seems to be in the U.S.," Dhamecha said. He noted that consultancy for clients on optimal aircraft selection is a vital part of the company`s work. "Each OEM today has got an aircraft in a similar class. Ultimately, it comes down to the personal choice of buyers. A buyer may look at a [Gulfstream] G650, but then he can sit in a [Dassault] Falcon 7X and say, ‘I love this.` The due diligence required for aircraft acquisition can take from three to 18 months."